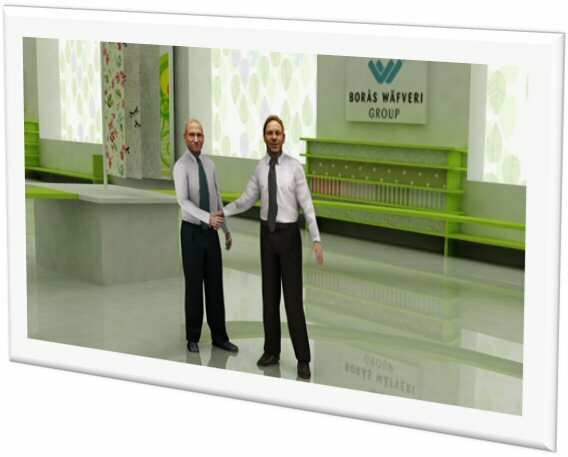 Boras Wafveri, in cooperation with ICYou, has agreed to market and sell its products through ICYou's 3DTALK application. Kenneth Uddh, CEO at Boras Wafveri says "At a time when traditional trade is changing, we in the manufacturing industry must change with it. We consider our partnership with ICYou a very exciting addition to our ordinary sales channels. We are confident that this new sales channel will accelerate and increase the profitability that we already see on its way." Lars Erik Ottenvall, CEO of ICYou says "We are eagerly looking forward to establishing a virtual showroom and store in color, shape and motion for Boras Wafveri and its affiliates. We see many possibilities for ICYou's new technology to increase the efficiency of their sales." The company's new partner will initiate an aggressive strike to boost the sales and marketing of the trademark Boras Wafveri. 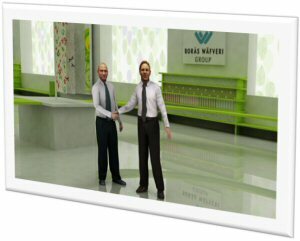 The new member stands behind ICYou (www.icyou.se) as well, giving Boras Wafveri the opportunity to showcase their products in a virtual showroom for better marketing. Boras Wafveri produces and sells textile products to customers in Northern Europe. Activities are divided into the following business areas: Premium Private Label, where design and product solutions are developed in collaboration with the end customer. Textile Services, which offers textile products for healthcare and hotel and restaurant services. The assortment includes functional textiles with such as flame retardant, water repellent, antistatic and antibacterial properties. ICYou AB, based in Sweden - Skovde, was founded during the summer of 2007 by entrepreneur Fredrik Nilsson. The business idea is to create a global media and marketing arena. This arena answers to the growing need for individuals to meet and socialize in so-called "virtual communities" coupled with businesses' needs to find novel, effective marketing-channels in order to reach this new and fast-growing market segment. ICYou's virtual world, Interactive City, is based on advanced computer-game technology. It will, through its unique interactivity and high-grade pictorial details, offer opportunities to build trademarks, advertise, sell products and offer services - in a way that has never been done before! Interactive City will mirror reality with citizens, communications, educational institutions, rules and laws, entertainment, means of socializing, businesses, authorities and free market economy.